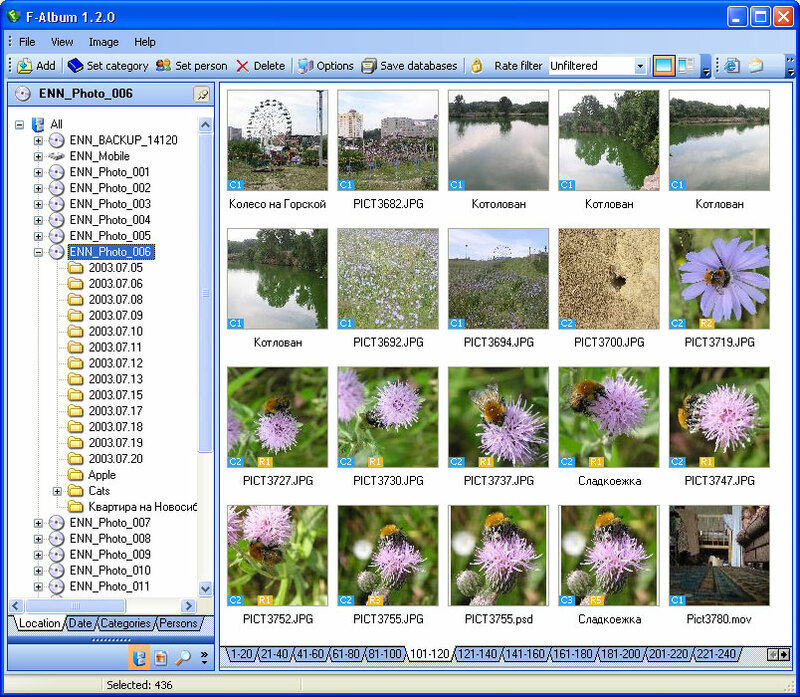 -Album is intended for cataloging digital photos and other images stored on your hard disk, as well as on other information-carrying devices (CD, DVD, etc). In other words, it does not really matter where you keep your images ? F-Album will allow you to always have a full catalog of your images close at hand. Another distinguished feature of F-Album is its Temporary list. You can «drag» images into this list while working with any section ? it can be sorting by storage location, by date, by categories or by persons. After you have finished making your selection, you can save a final list of images as a category or a person, or process your selection some other way (for example, create a web-gallery).